In light of Hanan Ashrawi's MIFTAH promoting the Passover Blood Libel and Hanan Ashrawi's refusal to apologize, it is worthwhile pointing out other Arabs doing the same. On March 28, 2013, the Lebanese daily Al-Sharq published an article by Lebanese writer Sana Kojok that claimed that during Passover, the Jews eat matzah made with the blood of non-Jews. The article also called on the Palestinians to turn the Israelis' holiday from one of joy and pleasure into one of weeping and wailing. Houses are cleared of all leaven, that is, all bread and bread products containing yeast, which are called 'hametz' in Hebrew. Yesterday, they burned the bread in their homes because this needs to be done one day prior to the holiday. "Imagine someone eating matzah made with blood!? How do these barbarians think?? Such barbaric behavior – even in eating and drinking?! "The matzah referred to here is the matzah of the Jewish holiday of Passover! "Today, they are not satisfied only with eating their blood-soaked matzah. Today, [there is a call] for settlers to invade the holy Al-Aqsa Mosque and celebrate Passover [there]. "Their damned Talmud neither respects nor recognizes any monotheistic religion. The Palestinians should challenge the Zionist aggressors and turn their holiday from one of joy and pleasure at the taste of blood into one of weeping and wailing." 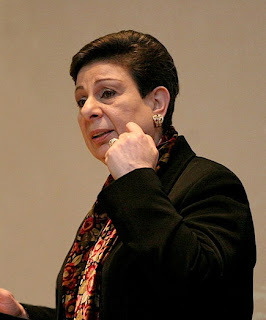 Technorati Tag: Hanan Ashrawi and Gaza and Hamas and Operation Pillar of Defense. Obama breathed a little life back into an Israeli-Palestinian peace process that had all but expired. He did this largely by the force of his March 21 speech in Israel. What he accomplished was the diplomat's trick of riding two horses at once: The speech was a love letter to Israel, as one commentator noted, and it was also a passionate evocation of the Palestinians' plight, and the need to "look at the world through their eyes." Obama brokered an important reconciliation between Netanyahu and Turkish Prime Minister Recep Tayyip Erdogan. With the region in turmoil, this was a matter of vital national interest for both Israel and Turkey, but it took Obama to provide the personal link that made it happen. This was a payoff for Obama's cultivation of Erdogan since 2010, and for his "reset" with Netanyahu. Contrary to these claims, Charles Krauthammer and Barry Rubin have argued that President Obama has acknowledged that the peace process is going nowhere. The New York Times jumps at opportunities to promote a Third Intifada, but refuses to balance their reporting by presenting the other side: the suffering and death that results from Palestinian violence. Here is a letter from the mother of one of the victims of the Sbarro bombing. Her letter was submitted to The New York Times, but was rejected because it did not fit the agenda of The New York Times. Does Obama in fact know the relationship, for example, between "Passover" and "Christian blood" ..?! Or "Passover" and "Jewish blood rituals..?! In response to Elder of Ziyon's post about Passover blood libel in Hanan Ashrawi's "Miftah" website, Ashrawi's first response was to remove the offensive post from the MIFTAH without comment or apology. I was appalled to learn a week ago that the Israeli prime minister had apologized to his Turkish counterpart for his government's actions during the Mavi Marmara incident, seeing this as feeding the Turkish government's inflated sense of grandeur and power. That prediction was born out in spades. The municipality of Turkey's capital city, Ankara, put up billboards on city streets reveling in the Israeli apology. They are not subtle, showing a sad-looking Netanyahu beneath a larger, buoyant Erdoğan, separated by the Mavi Marmara itself. Addressing Erdoğan, they read: "Israel apologized to Turkey. Dear Prime Minister, we are grateful that you let our country experience this pride." Hanan Ashrawi is a well known Palestinian moderate. These few paragraphs accurately reflect the prevailing view of Ashrawi in the media. 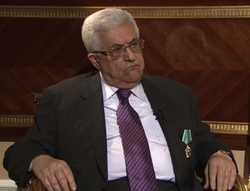 In the 1970s and 1980s, the PLO could be chastised and disparaged with ease. Its reign of terror against civilian targets across Israel and Europe made it reviled and its name synonymous with bloodshed. Then, out of nowhere, an elegantly dressed woman emerged, fluent in English and able to present the Palestinians and their cause in a whole new light. 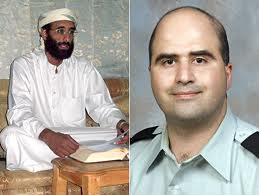 The Obama administration's response to the 2009 Fort Hood terror attack by U.S. Army major Nidal Hasan offers a vivid illustration of this practice. The first two items are about what is often referred to as "optics." Does Hanan Ashrawi Believe Passover Blood Libel? We are still waiting for Hanan Ashrawi, Palestinian spokesperson, to respond after the vicious Antisemitic article published by her organization, MIFTAH. The return of Israel Apartheid Week (IAW) makes it necessary to review some of the better and less well-known features of this annual, global event. By doing so, it will become possible better to understand the nature and scope of the problem and to improve our focus on potential responses. Who Wants To Be A Pesach Millionaire? Here is the introduction to a game, by Adina and David Lederer, that you can do at the seder table for the kids -- I've posted it before, and thought it was time to post it again. At the end of the introduction below, there is a link to the questions for the game (3 versions) and a separate link to the answers, as word documents. Have a Chag Kasher V'Sameach. As we wrote last year, one of the primary mitzvot of seder night is to tell over the story of our Exodus from Egypt (Sipur Yeziat Mitrayim). As parents to young children, we have a challenge to keep our kids interested during seder night in order to help us fulfill this mitzva. After hearing one of our friends telling us how he makes up Torah-related questions in “millionaire” format for his then 5 year old son who watches the show with him, we thought of creating a Pesach version of the game to play with our young children over Pesach. Rabbi Shafran on Passover: What's With The Fours? 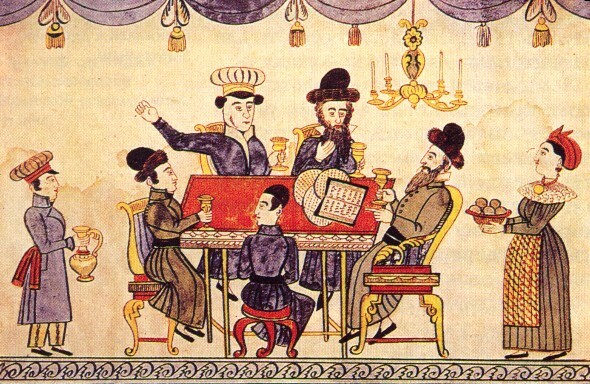 Despite the late hour and exhaustion (not to mention wine), many a Jewish mind has wondered long and hard during a Passover Seder about all the Haggadah’s “fours.” Four questions, four sons, four expressions of redemption, four cups. There’s clearly a numerical theme here. While some may superficially dismiss the Haggadah as a mere collection of random verses and songs, it is in truth a subtle and wondrous educational tool, with profound Jewish ideas layered through its seemingly simple text. The rabbis who formulated its core, already extant in pre-Talmudic times, wanted it to serve to plant important concepts in the hearts and minds of its readers – especially its younger ones, toward whom the Seder, our tradition teaches, is aimed. And so the author of the Haggadah employed an array of pedagogical methods, including songs, riddles and puzzles, as means of conveying deeper understandings. And he left us some clues, too. With Passover approaching, here is the new Maccabeats video for Pesach. Prodded by President Obama, Israel and Turkey agreed Friday to end a three-year rift caused by a deadly Israeli commando raid on a Turkish ship bound for Gaza, a rapprochement urgently sought by the United States to help contain spillover from the worsening fighting in Syria. During an airport meeting with Obama at the end of his two-day visit to Israel, Prime Minister Benjamin Netanyahu phoned Turkish Prime Minister Recep Tayyip Erdogan, Israeli and U.S. officials said. Bowing to a long-standing Turkish demand, Netanyahu apologized for the deaths of nine activists aboard the Turkish ship and promised to reach an agreement on compensation to their families, according to a statement from his spokesman. Pesach begins with seder on Monday night and preparations for the holiday are in high gear. I am mindful -- and right now it's hard work to stay mindful -- of what comes first. And so, I want to wish my readers a joyous and meaningful Pesach. May the holiday uplift us and inspire us. And may the Almighty be with us now as he was then. I do not know if I will post again before the holiday begins, or during the week of the holiday. I ask, please, that you hold off on communication to me for the duration. Were that I had good and uplifting things to report before the holiday begins! But I have to take it as it is. As time elapses, what Obama did with his "talk" to university students at Binyanei Ha'uma rankles me ever more. I called it beyond manipulative. Let me here add "despicable." On Feb. 27, Recep Tayyip Erdoğan told a conference in Vienna, "Just like Zionism, anti-Semitism and fascism, Islamophobia must be regarded as a crime against humanity." His calling the Jewish nationalist movement that built the State of Israel a "crime against humanity" prompted widespread criticism, including by U.S. Secretary of State John Kerry. If Obama Advises Containment Against Hamas, What Does That Say About Iran? Obama did not talk about possibility of peace with Hamas nor that the firing of rockets upon Israeli citizens would be stopped -- merely that there may be fewer rockets. Barry Rubin summarizes President Obama's message to the young people of Israel whom he addressed at the International Convention Center in Jerusalem yesterday. First: Obama’s big theme is that — and I’m not being satirical here — peace is good. He tried to make the students understand that peace is better than continued conflict and has many advantages. Of course the students think peace is good — they are the ones who have to serve in the military and risk their lives, not to mention know that they and their loved ones are the targets of terrorism and war. Can Obama possibly not comprehend this? I believe he doesn’t, that he seriously thought he was bringing new ideas to his audience that they had never thought about before nor heard about for years. 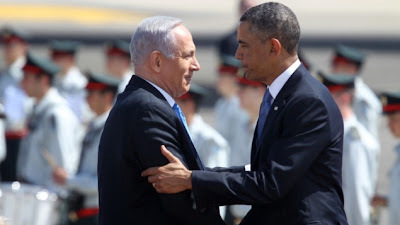 This week Latma takes a look at Israel's response to Obama's trip to Israel. Also, if you have not seen it yet, here is Israeli soldier responds to the world in rap. If indeed there ever was a party, except in people's imaginations. I want to start with the last event of Obama's day here, because it irks me so greatly. In the weeks following Obama's trip to Israel, there will be all kinds of analysis judging whether the trip itself was a success and how Obama acquitted himself. The issues will revolve around the various speeches, around what was said by one leader and how another leader responded. But there are other clues by which to rate Obama's trip, some subtle and even debatable. Even If Obama Is Sincere In What He Tells Israelis, Does Obama Know What He's Doing? Obama is now--on matters directly regarding Israel--a typical American president. The idea that Obama made policy out of raw hatred against Israel should be put to rest. The Algemeiner has transcripts of President Obama's and PM Netanayahu's remarks at their joint press conference yesterday. As he has for the last four years, the American commander in chief will surely promise the Israeli prime minister that when it comes to Iran, “Trust me, I’ve got your back.” But everything Bibi has heard over the last five hours will likely tell him that, as time is running out to stop Iran, the United States is nowhere to be found, at least not in the Middle East. Krauthammer: Obama has essentially signaled that Israel has a green light to deal with Iran as it wishes. And that's actually good. I agree. The helicopters have been whirring overhead here in Jerusalem today, reminding me that President Obama is in town. I'm too much of a cynic -- or a realist -- to be excited about this. It was all sweetness and light as the president stepped from his plane. "It's good to be in Israel again," he declared (in Hebrew). My mental response was: "So what kept you from visiting during the four years of your first term?" On March 17 of this year, François Hollande — the socialist president of France — attended the ceremonies held in Toulouse marking the first anniversary of what is now commonly referred to as "the Mohamed Merah affair." On March 11, 2012, this French citizen of Algerian descent, who had joined an Islamist network and had been trained in Pakistan, killed a French soldier in Toulouse. On March 15, he shot three more soldiers in Montauban: two died on the spot; the third was severely wounded in the head and is now quadriplegic. Four days later, Merah killed three preteen children and one adult at Ozar Hatorah, a school in Toulouse. The terrorist had selected his nine victims with jihadist logic, as he himself boasted shortly before being shot by security forces. The four soldiers were either of North African or West Indian origin, and thus guilty of betraying their Muslim or non-Caucasian brethren by joining the enemy French army. The children and the adult at the Ozar Hatorah school were Jewish, and thus enemies of the Muslim Palestinians and the Muslim world community. Since his election in June of last year, Hollande has frequently emphasized the Merah affair, and specifically its anti-Semitic aspect. On July 22, 2012 — the French national memorial day of the Holocaust and of racist persecutions — Hollande drew a parallel between the murder of Jewish children by Merah and the deportation and mass murder of Jewish children. On November 1 — the Day of the Dead in French culture — Hollande attended a memorial ceremony in Toulouse with Benjamin Netanyahu. This year's March 17 visit to Toulouse was Hollande's third public appearance expressing his concern about the Merah affair. However, Hollande's reputation, one of empathy for the victims of anti-Semitism, has just suffered a blow. While US President Barack Obama’s visit to the region has been described as a listening tour, for Secretary of State John Kerry the visit is all business. According to a report in Yedioth Ahronoth Tuesday, Kerry is in the region to kick-start peace talks between Israel and the Palestinian Authority, using the 2002 Saudi Peace initiative as the starting point of future talks. Why Is Obama Still Fixated on Israel? Latma brings you a word from proud Israeli soldiers and wishes a Happy and Kosher Passover to our wonderful soldiers, and to the entire Jewish people and our friends in Israel and throughout the world. When Will The New York Times Stop Whitewashing Palestinian Terrorism? A few people have pointed out that I missed an op-ed by Rashid Khalidi, Is Any Hope Left for Mideast Peace? One paragraph really stuck out. Khalidi mentions the second intifada and the travel restrictions (which aren't as total as Khalidi writes) and the security barrier as if they are unrelated. Of course the intifada - which was orchestrated by Yasser Arafat - is the reason that Israeli had to impose travel restrictions and build a separation barrier. During Obama's Trip To Israel, How Will He React To Demonization By Palestinian Arabs? This article by Anne Bayefsky originally appeared in Fox News on March 18th. As President Obama touches down in Israel on Wednesday, he will not be stumbling into a morally neutral landscape somewhere between the Hatfields and the McCoys. Instead, the ticket to wading successfully into the Arab-Israeli conflict is to hold fast to a moral compass of inalienable rights, starting with equality, and freedom from racial and religious intolerance. The New York Times has done it again. Less then two weeks after publishing an intellectual attack against Israel, it publishes an article glorifying physical attacks on Israel. The front page story of yesterday's New York Times Magazine, Is This Where the Third Intifada Will Start? by Ben Ehrenreich. 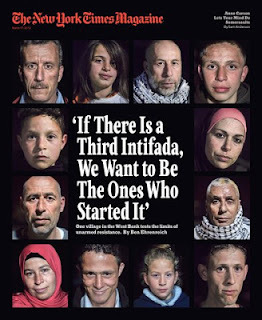 (The cover has the more provocative phrase, "If there is a third intifada, we want to be the ones who started it." This article by Anne Bayefsky originally appeared in The Jerusalem Post on March 17th. It is impossible to read this latest UN report, or to listen to its authors and its state sponsors, without knowing that the campaign to rid the world of Israeli settlements is a campaign to rid the world of Israel. On Monday, March 17 in Geneva, the UN Human Rights Council will hold a first-ever three-hour session devoted to the alleged human rights abomination known as the “Israeli settlement.” In the moral wasteland of the United Nations, a Jew living on Arab-claimed land is a violation of Arab human rights. There were once an estimated 900,000 Jews across the Arab world, but today there are less than a few thousand. They were given a choice: die, convert or flee. Now the 22nd Judenrein Arab state is in-the-making: Apartheid Palestine. Mideast Media Sampler 03/17/2013: Thomas Friedman Strikes (Out) Again! He is serious about what he has written. He respects his audience's intelligence. Over three years after Maj. Nidal Malik Hasan's massacre at Fort Hood, Texas, in November 2009, the classification of his crime remains in dispute. In its wisdom, the Department of Defense, supported by law enforcement, politicians, journalists, and academics, deems the killing of thirteen and wounding of forty-three to be "workplace violence." For example, the 86-page study on preventing a repeat episode, Protecting the Force: Lessons from Fort Hood, mentions "workplace violence" sixteen times. Indeed, were the subject not morbid, one could be amused by the disagreement over what exactly caused the major to erupt. Speculations included "racism" against him, "harassment he had received as a Muslim," his "sense of not belonging," "mental problems," "emotional problems," "an inordinate amount of stress," the "worst nightmare" of his being deployed to Afghanistan, or something fancifully called "pre-traumatic stress disorder." One newspaper headline, "Mindset of Rogue Major a Mystery," sums up this bogus state of confusion. This article by Anne Bayefsky originally appeared today on FoxNews. One doesn’t need a lawyer or foreign affairs guru to figure it out. This isn’t about human rights at all. We have a government. I felt reasonably confident this would be the case by now -- as the deadline for Netanyahu has run out and Obama is coming this week. But it's been an insufferably long and complex road getting to that coalition. Everyone is anticipating Obama's arrival to Israel -- even Latma! Is Egypt's Muslim Brotherhood Illegal? Whatever Happened to the Old AIPAC?